While "Pokemon" and "Dragon Ball" have been on Japanese TV for decades, the title of longest-airing animated series, not just in Japan but in the whole wide world, goes to "Sazae-san." 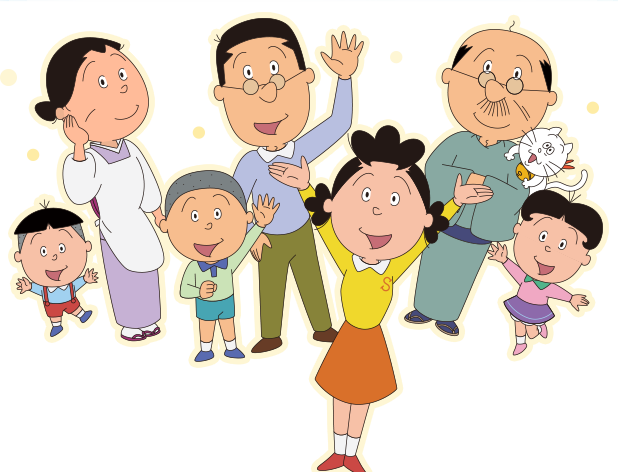 Since its premiere in 1969, a new episode of "Sazae-san" has been ready for viewers to enjoy each and every week. ▼ Main character Sazae, wearing a bright yellow blouse, with her bespectacled husband Masao standing behind her in a lavender pullover. 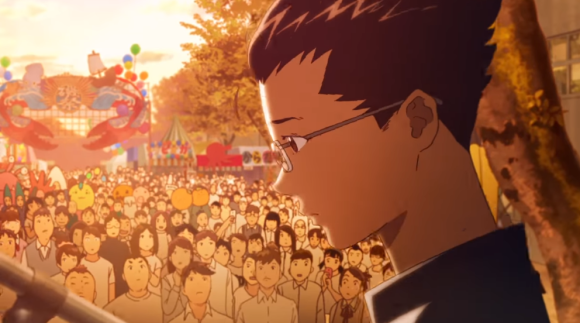 But after years of seeing the famous couple as they appear above, Nissin, maker of Cup Noodles, has given them a gorgeous modern makeover with the newest installment of its "Hungry Days" short anime series. In the "Sazae-san" anime, Sazae and Masao are very much the image of mature adult life. But "Hungry Days," in keeping with its themes of youthful passion and desire, time skips back to their high school days, reimagining them as high school classmates. In the original "Sazae-san" continuity, Sazae and Masao’s romance begins with an omiai, or arranged marriage meeting. 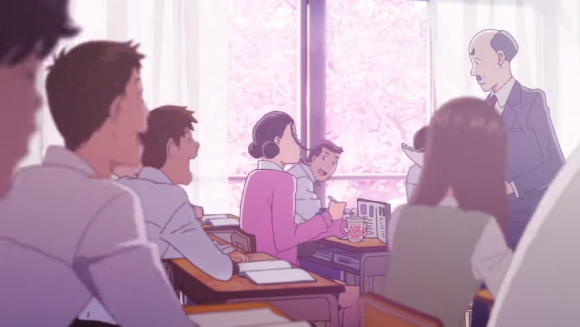 With such arrangements rapidly becoming a thing of the past in Japan, though, their "Hungry Days" versions’ relationship develops more organically, with their feelings for each other growing over the course of the school year. Even with a runtime of just 30 seconds, the short packs a powerful punch, especially since the glistening visuals and atmosphere dripping with emotion are so far removed from the familiar dryness of "Sazae-san’s" normal look and feel. 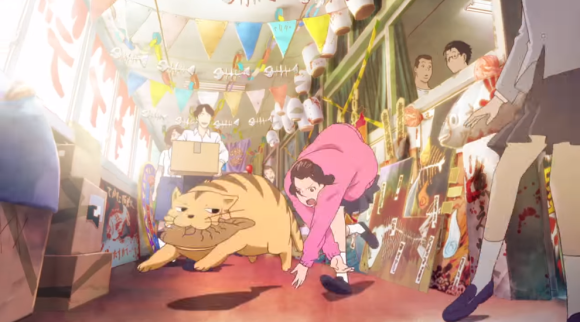 In the end, it’s yet another breathtaking entry in "Hungry Days" (which previously saluted "Kiki’s Delivery Service" and "Heidi of the Alps"), and we can’t wait to see which classic anime joins the series next. If they go with it, good luck producing two or three of those complex animes every week. I'd guess one reason Sazae-san is still on is nostalgia (kids are not the only ones to watch it) and another is that it is simple and easy to produce. Haven't sen it for a while: which region of Japan does Sazae-san 'enjoy' these days? And do they have smart phones yet?